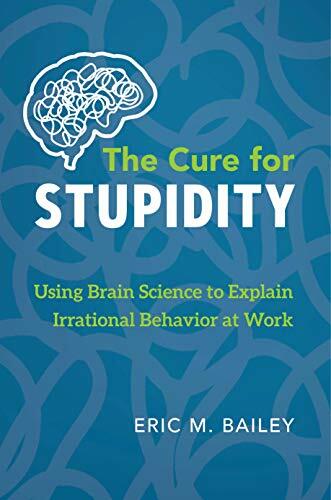 Pre-order now to receive Eric M. Bailey’s new book The Cure for Stupidity at a 20% discount. Every day you’re driven nuts by the people around you making common sense errors and irrational decisions. Imagine what life would look like if you didn’t have to waste time and energy dealing with stubborn, clueless, argumentative, defensive, or apathetic coworkers! Thank goodness Eric Bailey translates decades of brain science research into every-day language, helping you break through common communication barriers that will improve every relationship in your life. Whether you work in the executive suite or on the front-line, this book will teach you how to cure the stupidity all around you. Thank you for pre-ordering! Since so many people can’t wait for the book to come out, we are sending out a free preview chapter. Just fill out this form.